Around half year research and development, our New product--Wooden Type Trackless Train coming soon. Why we choose wooden as main material not Sheet metal? Actually this inspiration come from The oldest wooden type rail, which was very popular in 16 century. Another reason we choose wooden, it’s that wooden is lighter than mental, which will reduce a lot of transportation costs. What’s more the wooden type will help our factory reduce the production time. Normally, we will take around 25 working days to finish one sheet metal trackless, but once we use the wooden structure the production time will reduce to 5-10 working days. Wonderfully. It’s it! 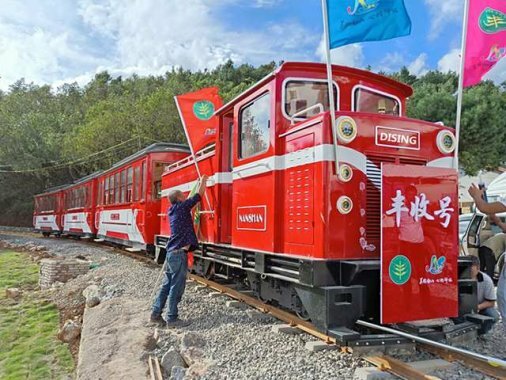 So, the wooden type tourist train will help us decrease the production cost and time, make our company’s sightseeing train more competitive in the wold market. Some people will ask: the wooden it easy to be corrosion and weathering. Don’t worry. Our company choose high quality anti-corrosive wood to make the wooden type train can antiseptic. Dising Train’s mission is to offer high quality products to meet customer requirements.Now this new wooden type trackless train have two colors, and a customer from Barbados have ordered a blue wooden type tourist train already. Amazing isn’t it? 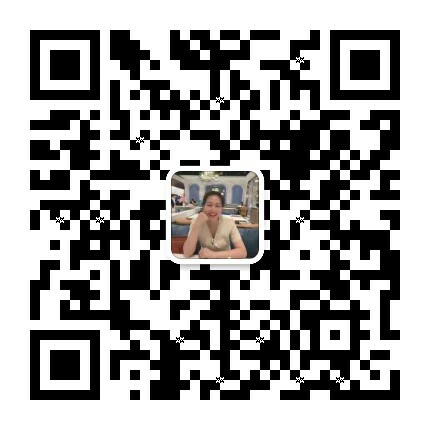 Wuhan Dising Technology Co., Ltd always want to protect our earth and do something for global warming. So, our company also developed some electric trackless train, track train and tram. These kind of train or tram powered by lithium battery. As the power of battery is less than the diesel one, the Electric trackless train is more suitable for the seats which is under 42, the Electric track train are normally for the seats which less than 54 and for the tram is always electric one. To satisfy some theme park’s large passenger flows, our company also offer diesel type tourist train. The diesel type is more powerful than the electric one. As a result, the diesel tourist train we often recommend to the customer who need more seats in their trains. For the engine of the train we can according to customer’s requirements to use different brand of the engine. 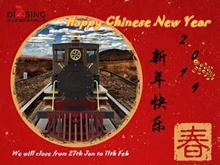 Some people may like the old locomotive, so we also can offer the steam effect, make the sightseeing train more retro and the passengers enjoy the trip. 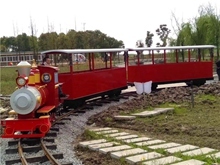 If you are a tourism developer and want to use the sightseeing train, tourist train and tram in your attractions, please call us at: +86 138 8610 7725 / 27 8669 8008, or email us at:admin@cndising.com to get a quotation. 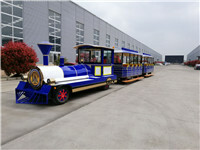 Wuhan Dising Technology Co., Ltd. is a sightseeing train supplier in china, that can provided customized service to you. We not only can offer you the tourist train in the theme park, but or can help you to design and produce a train restaurant. Our goal is to meet customer’s every requirements and get 100% satisfactions form customer.